Suitable for Dorema Awnings OR can be used with any brand awning if used with Dorema's SafeLock Mounting Kit. All Dorema awnings, porches and motor annexes will be fitted with this new advanced storm system. 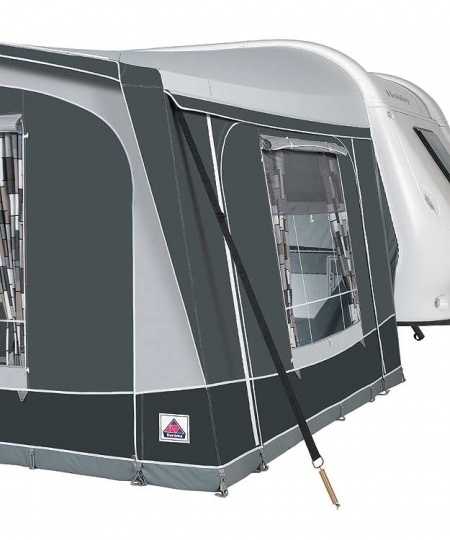 The system comprises of two parts; part one is the Safe Lock clip which is sewn into the roof of the awning, part two is the optional storm strap and spring system. 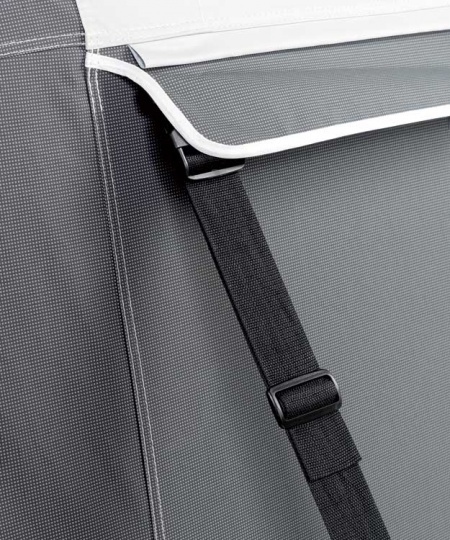 Used together they provide extra protection for the awning in severe weather conditions. 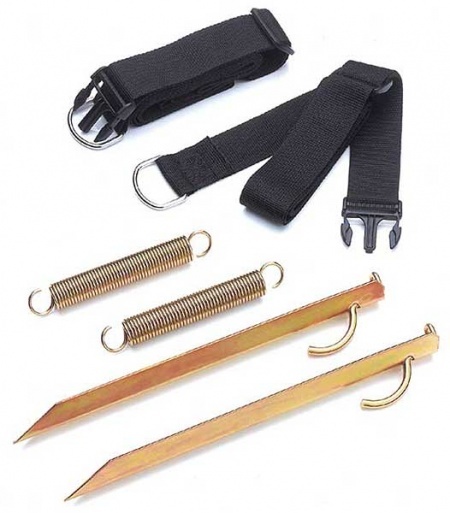 This latest development in awning security eliminates all known problems with other types of storm straps.